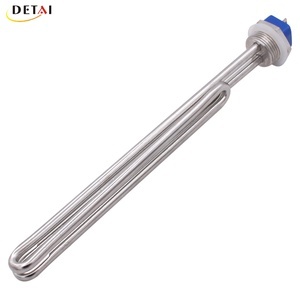 Tubular heaters are produced using Incoloy, stainless steel or Copper sheath materials and also there is huge variety of selection of termination styles available. 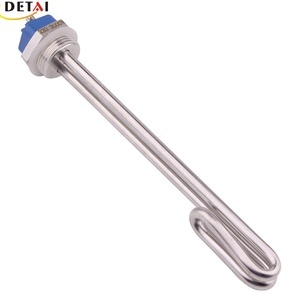 Adopting U shape tubular heating element ,according to design standard of different mediums,and power requirement to installed in the flange shell. 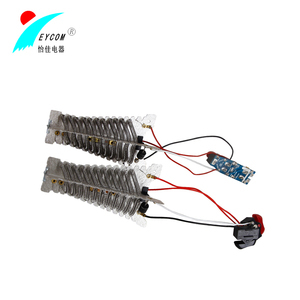 when the heating element exceed temperature or lower than position ,Interlock protection device can cut off heating power to avoid element broken,and extend using life. 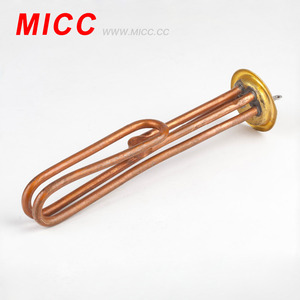 MoSi 2 electrical heating element is a resistance generate-heating component made from Si-Mo or baric material. Under the normal condition, element resistance is not generally changing for a short or long time. 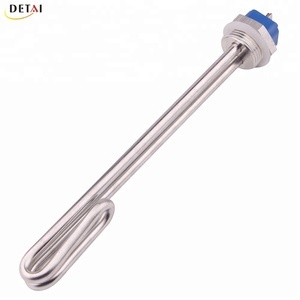 Installation of MoSi2 heating element The brittleness of MoSi 2 heating element is big under normal temperature. 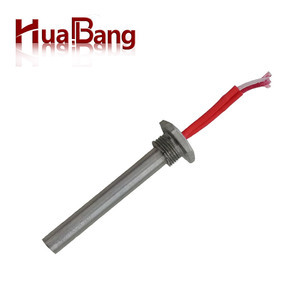 LK-GZ electric spiral tubular heating elements Tubular Heater Description: These components are mainly used in aerospace, petrochemical, rubber and plastics industries, and the like. It can be used to heat still or flowing air, water, oil, nitrate, alkali and other kinds of liquid. It has advantages such as simple structure, long lifetime, high thermal efficiency, reliable and safe operation and so on. 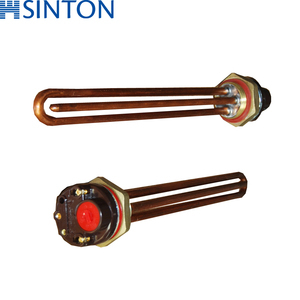 We supply Custom Wattage Ceramic Infrared Heaters as per the requirement of our clients. 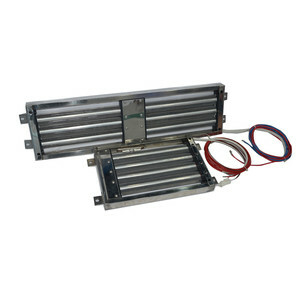 They are also used very effectively in infrared outdoor heaters and infrared saunas. &bull; The whole process from material to finished products can be traced. 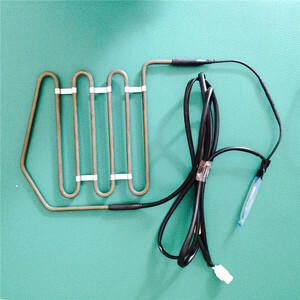 Home Appliance Frame Electric Oven Heating Elements Oven Heating Elements Characteristics of oven heating elements The blackbody tube is made from precious metal oxide. It can not produce open fire and it has such characteristics as high safety and durability. 3). 4.Most of products have got the certificates 5.You can be sure to find the right product for your application with our range. Henan Sunshine High Temperature Materials Co., Ltd. 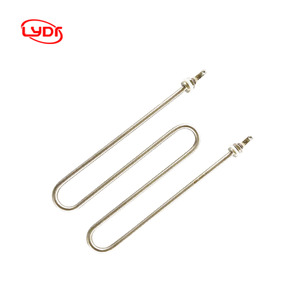 Tags: High Quality Home Applications Electric Oven Heating Elements | Home Applications Electric Oven Heating Elements Heating Tube Details | Yancheng Guoke Electric Equipment Co. Ltd.
4. If you dont like our existing products and have your own idea, we could achieve it as your requirements. The Staff did an excellent job in all respects,We would be happy to provide our positive views to any prospective customer and are sending this to our supplier. Q6. Can I have a sample even pre-production before I send you the order9 A: Yes, We can send you samples for your approval first. The ability to easily remove and replace these elements means that the production period does not have to be paused for long. The elements are factory-configured to the optimal size and shape for the specific application. Custom bending of diameters and radiuses allow for better performance by meeting the form, fit and functions of applications. 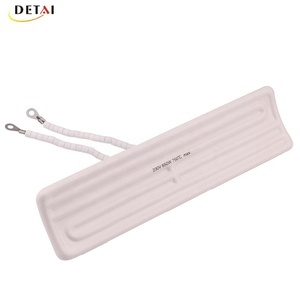 Quartz infrared heater is an electric heating product,mainly for the wood heater,fan heater,air heater,industrial heater, agriculural and other applications. Q:What is your payment terms9 A: 30% TT deposit in advance and 70% balance before shipment. Q:Sample time and delivery time 9 A:Normally it will take u about 7 days to finish the sample,and for mass production is based on quantity. It is made of selected high-purity green silicon carbide as raw material which is made into blank and silicon crystal under high temperature of 2400&ordm;C . In recent years, our company developed a variety of silicon carbide coating to prevent cracking, for a variety of gas furnace. (2 )Continuous use of silicon carbide, hoping to slow increasing resistance to maintain long life. 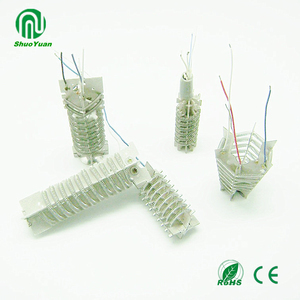 Shenzhen Yi Feng Sheng Electric Heating Technology Co., Ltd.
Alibaba.com offers 30,436 heating elements products. 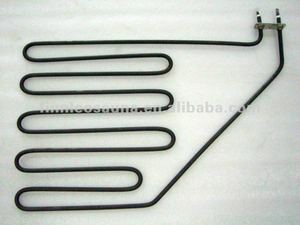 About 23% of these are industrial heater, 4% are electric heater parts, and 2% are tungsten wire. 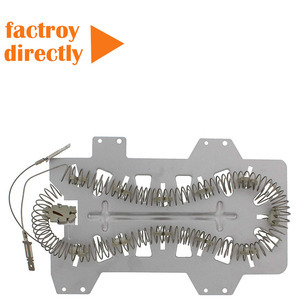 A wide variety of heating elements options are available to you, such as free samples, paid samples. 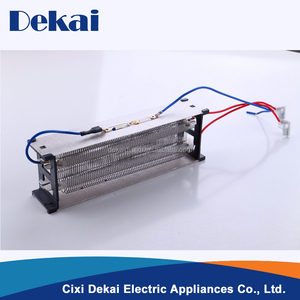 There are 30,107 heating elements suppliers, mainly located in Asia. The top supplying countries are China (Mainland), India, and Turkey, which supply 98%, 1%, and 1% of heating elements respectively. 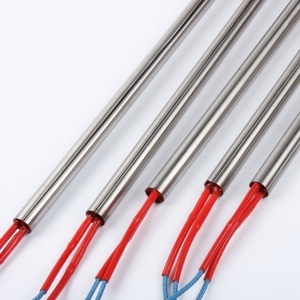 Heating elements products are most popular in North America, Domestic Market, and Southeast Asia. You can ensure product safety by selecting from certified suppliers, including 9,939 with ISO9001, 4,446 with Other, and 2,114 with ISO14001 certification.